MANILA, Philippines – After two seasons on unfulfilled Final Four hopes, the Adamson Baby Falcons are in the UAAP’s second season. The Baby Falcons missed the Final Four of Season 80 by a whisker finishing at 7-7. Two seasons ago, Adamson was leading the juniors tournament of Season 79 with an 11-1 record when Baby Falcon Encho Serrano was declared ineligible to play, forcing the forfeiture of all its wins. This Season 81, with a 9-5 record, Adamson finally made it to the semifinals where they will face heavily favored National University, which owns a twice-to-beat advantage. The Falcons though are the only squad to blemish the Bullpups’ near-perfect record. While the Baby Falcons have the wondrous Joem Sabandal in uniform as are Jake Engbino, Adam and Andrei Doria and the bull-strong Ap Manlapaz, one has to give credit to the team’s coach: Mike Fermin. Fermin, who played for the Letran Squires in the NCAA and the UP Fighting Maroons in the UAAP (1994 during Joe Lipa’s second stint), can be said to be a “miracle worker.” One who comes in and makes the most out of a mess. 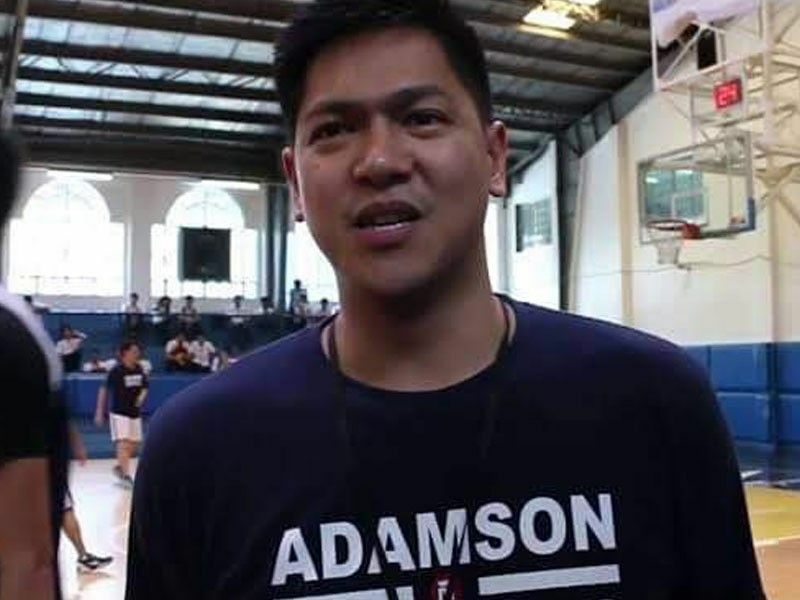 In Season 78 of the UAAP seniors tournament, Fermin was handed the reins of the Adamson Falcons after parting ways with Kenneth Duremdes in the summer; mere months before the start of competition. Reeling from also the departure of center Matt Aquino, who left the same time as Duremdes did, Fermin’s Falcons were a tough team to beat. Although they finished with a 3-11 record, in the second round of play, they figured in five games where the result was decided in the last two minutes of play. Despite the decent job, the coaching papers were handed to Franz Pumaren the next season. Now with the Falcons, following the crushing forfeitures of Season 78 and the departure of then head coach Goldwyn Monteverde and the bulk of his recruits for NU, Adamson, in one of the quickest turnarounds in high school basketball history, is aiming for glory. Fermin waved off the assertion and is quick to point to his assistant coaches and players as equally important to the team’s success. The Baby Falcons are ranked fourth in the offensive and defensive standings. Fermin will have a full complement of players with Ap Manlapaz ready to go. The 6’1” forward, who is averaging 11.0 points, 9.1 rebounds, 1.5 assists, 1.4 blocks and 1.0 steals in 20 minutes per game, missed the last four matches of the second round with a sprained right ankle. “Ap will play given the win-or-go home situation,” revealed Fermin. Whatever happens this Final Four, it can be considered a successful two seasons for Fermin and the Baby Falcons. “I think we may even have exceeded our own expectations,” summed up Fermin. The Baby Falcons take on the NU Bullpups at 1 p.m. Friday, February 15, at the Filoil Flying V Centre.